Will Working Out Once a Week be Right for You? You want to work out. You know it is going to be great for you. However, you aren’t sure how much you should be working out. You may not even want to work out too many days of the week. There are some professionals who do only work out one day a week and others are working out seven days a week. There are some things you need to know about working out once a week. First, it is a great idea for those who are busy or those who are working a lot throughout the week. Do you want to buck up your body with just one day of working out each week? If so, you are going to be impressed with the information today! All you need is 30 minutes. If you are going to work out just once a week, you need to make sure you are doing higher intensity exercises to begin. These are going to get your body in shape, boost your metabolism and help to build muscle too. Higher intensity training can be tough but you can push yourself for 20 minutes one day a week. If you are going to work out only once each week, you need to do slower strength training exercises for ten minutes after you have finished the higher intensity portion of the work out. This is going to help your body recovery for the week. It is also going to work out your muscle more and get your body in shape even further. You do sets of exercises that work out different muscle groups. 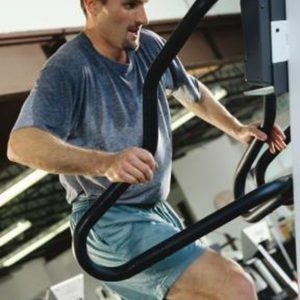 Research has shown that working out once a week is most effective on older men. However, even if you are younger and just too busy to work out more days each week, you can make use of this work out plan. All you need to do is commit to it and you will get stronger. If you are going to work out just the one time each week, you need to put in hard work. You can’t be skimping your way through the workout. You must put all your effort into the exercises you do. You must use proper form and push hard. If you are going to get fit and stay fit with just one day a week of exercising this is what you need to do. When you are working out just once each week, you should use the gym. However, the gym isn’t for everyone. 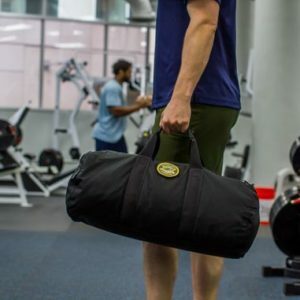 If you aren’t going to the gym, you will need some equipment. Make sure you have weights to lift, a kettlebell or other types of dumbbells, an exercise ball and other things as you see fit too. These are going to help you build your strength faster. When you are only working out once each week, your training is going to be slow. However, that may be better for your heart and the rest of your cardiovascular system as well. When you take part in slower training, your muscles are less likely to fail on you. In addition, you will get denser muscle and your body will be at a decreased risk for injury as well. Even if you are only going to work out once each week, you need to make sure you are stretching at least three other days during the week. You only need to stretch for a few minutes. It is important to make sure you keep your chances of getting injured low. Stretching is also essential to keeping your muscles prepped for your next work out session as well. Overall, working out just once a week can be great for men who are busy or who work long hours. If you are interested in working out just once a week, there are many work out plans out there that can help you to accommodate this into your schedule. Get out there and make it happen! Do you have more questions about whether a 20 minute a week workout really works? You can join the conversation at Facebook.com/getfitguy! Next ArticleWhen Should Leg Cramps Concern You?